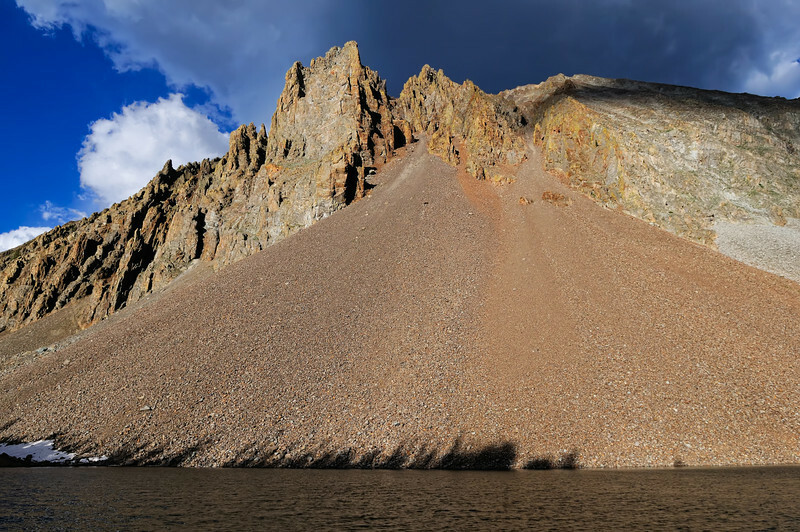 Nokhu Crags, another member of the Never Summer Range of northern CO, reaches up 12,485 feet (3,805 m). This incredibly steep mountain is prominent from Cameron Pass on CO State Highway 14. It can also be seen down below in North Park where locals know it as "The Crags" and "Sleeping Indian." Lake Agnes is a true photographic wonderland, glad to have finally visited!